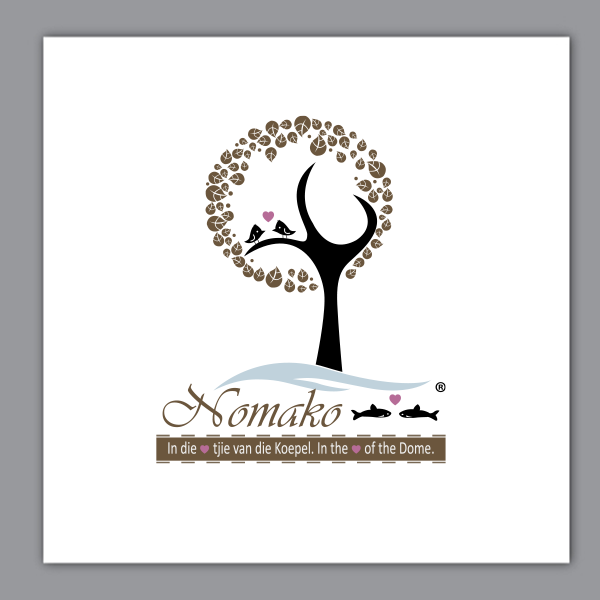 Nomako, as said in the creative brief is the name of a new wedding venue. They were looking for a logo for their new startup wedding venue and hence started contest on 110Designs.com and offered $110 as the prize-money for their wedding venue logo. There has to be a tree, preferably as the central theme. In the tree there should be two birds that look at each other with a ♥ above their heads. Under the tree should be water, and in the water two fish should look at each other with a ♥ above them. The look of the logo should not be too childish. It should be in the context of nature and a farm next to a river. It should follow an Elegant Vintage logo. They also uploaded some samples of the designs they like to give designers a direction to initiate the task. After having a number of creative logo designs they decided to go with a logo design that really speaks what they had in mind for their wedding venue at best. In 7 days contest duration they received a total of 31 design entries from 4 designers all over the world in just $110. They have selected “AMC” as the winner for producing a creative logo design for their new startup wedding venue. Have a look at the winning design. From logos and business cards to websites and stationery, you can get anything designed by running your own design contest on 110Designs. Start now! No Logo? Starting a Business Without a Logo Can Sabotage You!